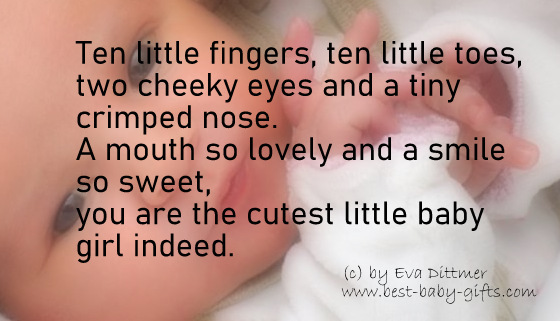 Here's a page for newborn girls, consisting of baby girl poems, newborn girl quotes and verses. These are great for various purposes: your birth announcement card, writing your congratulations to the new family, your scrapbook for your little baby girl, a photo gift for the proud grandparents of a girl (from mom & dad), for decorating a girl's nursery with wall decals, for a girly baby shower and for many more. a heart filled with dreams - a sweet little girl! No joy on earth brings greater pleasure, than a newborn girl to love and treasure. Dresses, ribbons and hair to curl, what a precious little baby girl! 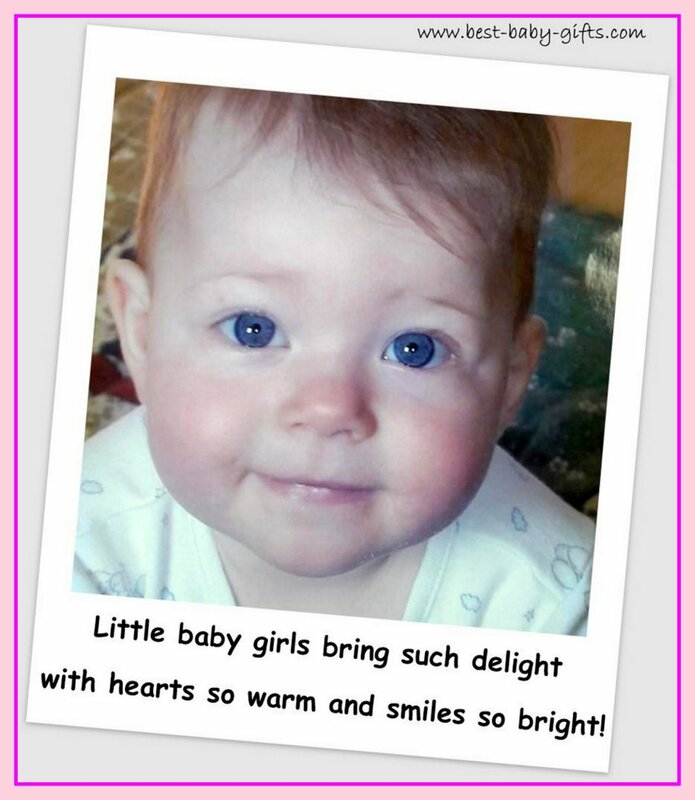 A newborn girl with smiles and charm, some sleepless nights may cause alarm. But no greater gift you'll get from above, than to see her beautiful eyes light up with love! A beautiful little daughter for us (you) to adore, how could anyone ask for more! with hearts so warm and smiles so bright! Tiny fingers, tiny toes, little teeny tiny clothes. Guess what? It's a baby girl! We wish you lots of fun in the years to come, life with your little newborn baby girl has just begun! A new baby girl is one thing the whole world adores - and the best part of all is that this one is yours! Your baby girl arrives and just like that, everything changes. Your world gets bigger, your heart grows fuller and life means more because this precious girl is in it! From the delicate curls on her head to the tiny toenails on her feet, this newborn girl really has made our (your) life complete! You've been a blessing from the start, I love you, my little daughter, with all of my heart. My baby girl yesterday, my friend today, my daughter forever. A baby girl is sunshine and moonbeams and more, brightening your world as never before. It's a girl: two little hands and two little feet, now the family is complete! Little girls make the world sweeter! Hold her a little longer, rock her a little more, tell her another story, you've only told her four. Let her sleep on your shoulder, rejoice in her happy smile, she's only a little girl for such a little while. Such a big miracle in such a little girl! I know a little girl, she puts the color inside of my world. She's my daughter! 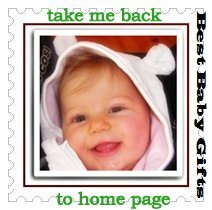 Do you know any more baby girl poems or verses to share with me and my readers? If so, please use the 'contact me' page in the nav bar and let me know, thank you! Baby poems for your scrapbook.